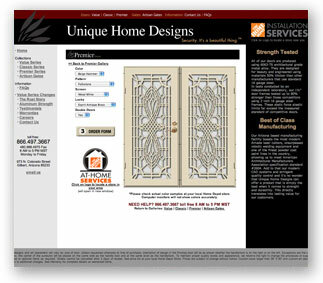 UNIQUE HOME DESIGNS - UNIQUEHD.COM - Brain Web Solutions Strategic Director, Mark Guertin built an interactive "door builder" which allows both clients and suppliers to build the doors to their specification and get real time graphical previews of their doors. The system uses elements directly from their laser cutting systems and swatches from their surfaces libraries to build the previews, ensuring accuracy. 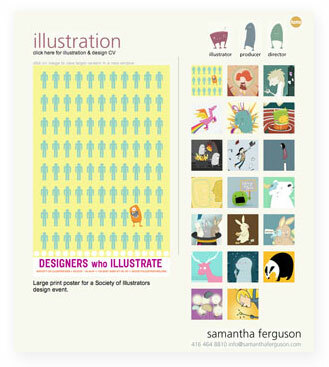 This is an excellent example of a web-enabled application. 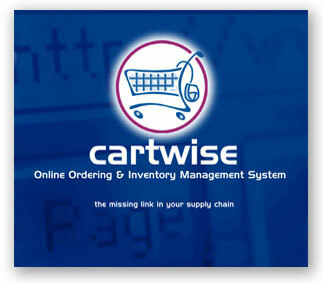 CARTWISE ONLINE ORDERING - Cartwise Online Ordering and Inventory Management System was designed and implemented by our very own Mark Guertin as a custom ordering and management solution initially for Great Brands of Europe (Evian, Danone) and later was expanded to also provide services for Coca-Cola internationally. This system was used to order and manage inventory for all Point of Purchase promotional material worldwide and fully integrated (EDI) with several international warehouses and fulfillment systems. 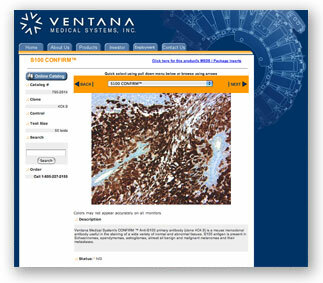 VENTANA MEDICAL - VENTANAMED.COM - Ventana Medical is the world's leading supplier of automated diagnostic systems to the anatomical pathology market. Their instrument and reagent systems are used in clinical histology, cytology, and drug discovery laboratories around the globe. 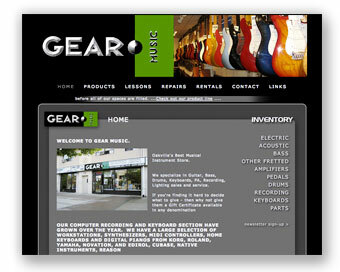 Their online catalog, which includes both reagent system, instrumentation and slide samples were created by Brain Web Solutions Strategic Director, Mark Guertin.